Value of product relative to price - a function of quality and price. Time issues, such as product availability, availability of sales assistance, time waiting at checkout, and delivery time. Atmosphere of store, such as cleanliness, organization, and enjoyable shopping environment. Service personnel issues, such as politeness, attentiveness, and helpfulness. Convenience, such as location, parking, and hours of operation. 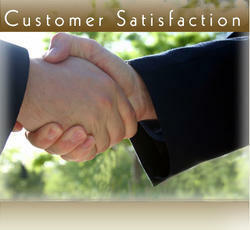 At AKSHAR, The Biggest Objective Has Always Been Customer Satisfaction And Trust. 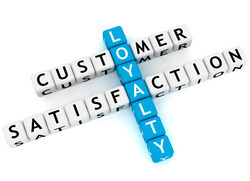 This Does Not Mean Just Meeting The Customer's Needs But Also Providing Them With Solutions To Boost Their Business. The Process Begins With Recommending The Right Packaging System That Suits Their Specific Applications, Followed By Manufacturing And Finally Testing of The Same. Our Responsibility Does Not End Here. The After Sales Service And Timely Supply of Spare Parts With Assurance of Interchangeability Ensures Durability And Trouble-Free Operation of Our Machines For Years Together. Our chief goal of offering superior products has enabled us to implement quality centric measures at our premises. We have developed quality testing unit which includes all necessary tools and techniques as per latest quality standards. Our team of quality controllers examines these products under various parameters while following strict parameters of quality assurance. Moreover, they adamantly observe our products throughout all levels of fabrication.